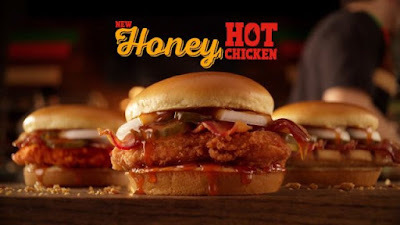 Burger King has been spotted testing the new Honey Hot Chicken Sandwich in Boardman, OH. The new sandwich features two layers of Honey Hot Sauce, thick-cut bacon, a white meat chicken filet, onion, and pickles on a toasted potato bun. You can choose to get it with either their grilled chicken filet, crispy chicken filet, or spicy crispy chicken filet. They're selling for $5.49 each. If it makes it out of test, the Honey Hot Chicken would seem easy enough to roll out as Honey Hot Sauce appears to be the only not-currently-stocked ingredient. 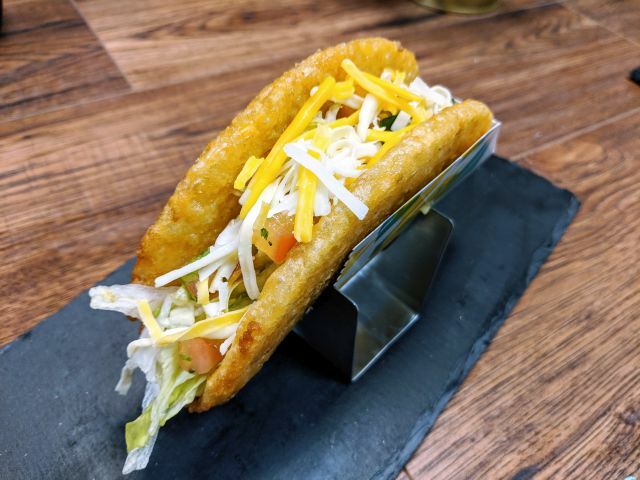 Hot honey chicken seems to be trending in fast food land lately: Popeyes offered Hot Honey Crunch Tenders in 2017, KFC offered Hot Honey Chicken last year, and Papa John's is expected to offer the new Hot Honey Chicken & Waffle Pizza later this year.